This review and giveaway was made possible by Double Duty Divas and Old Spice. I was compensated for my participation in this campaign, but all opinions are 100% mine. Old Spice has been around for years. I remember my father and grandfather using it. But, times have changed and Old Spice has some great new scents. There is nothing like a man who smells good and Old Spice has you favorite scent in shampoo/conditoner, body wash, bar soap, and deodorant. Use them all in combination to achieve amazing, manly, irresistible freshness from head to toe. 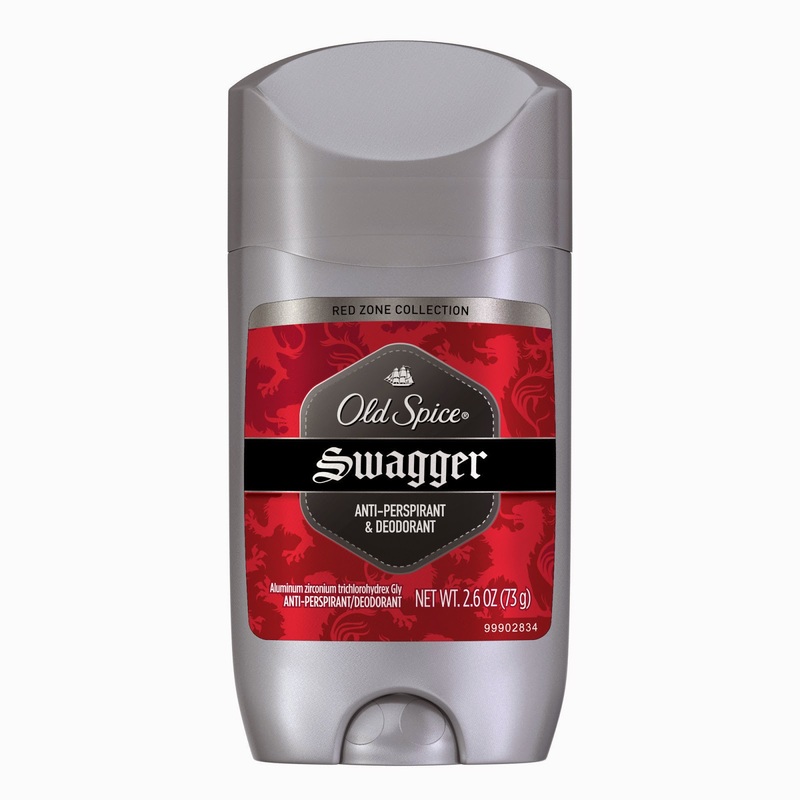 Click HERE to get a variety of Old Spice coupons that you can use on your favorite products. My son recently returned back to school and I am happy to know that he has his Old Spice products , so he can have that amazingly fresh manly man smell. I am sure he will get lots of compliments, not only because he looks good, but he smells good, too. Using all of his Old Spice products, I know he has a that successful winning combination. Old Spice recently surveyed men and asked them what their cherished combinations were. Check put the infographic below for the answers to some of the questions asked. If you were stranded on a desert island what two foods would you want? 35% said bacon and eggs. My son said pizza and soda. Go figure. Whatever your cherished combination is, make sure you combine your Old Spice products to be the manliest man. When guys use Old Spice anit-perspirant and deodorant, body wash + 2-in-one shampoo and conditioner, they smell so clean that even a man who is not entirely a man smells like the best smelling man ever, And, yes, here is the mandroid to prove it! Check out this cool mandroid video! 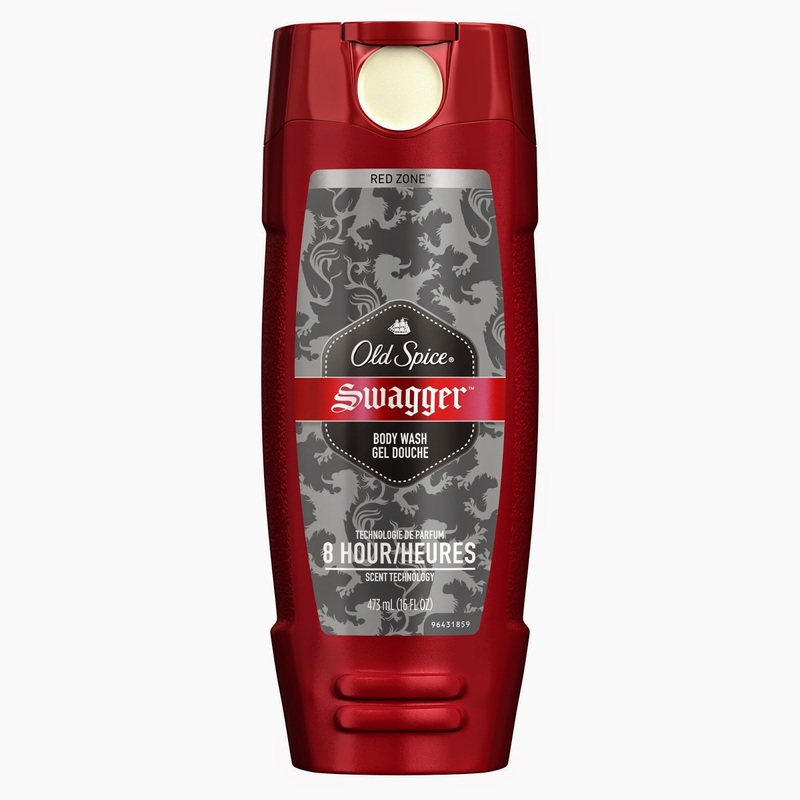 Check out Old Spice by clicking on the links below and you can stay up to date on the latest products! 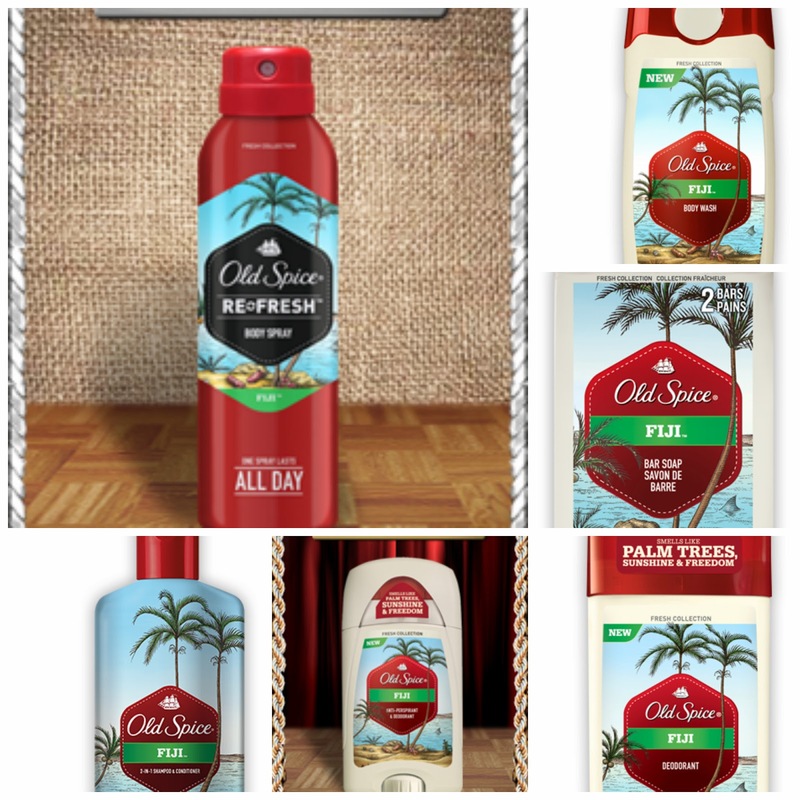 I received the Fiji scent of Old Spice products and my son and I both agreed, they work great. 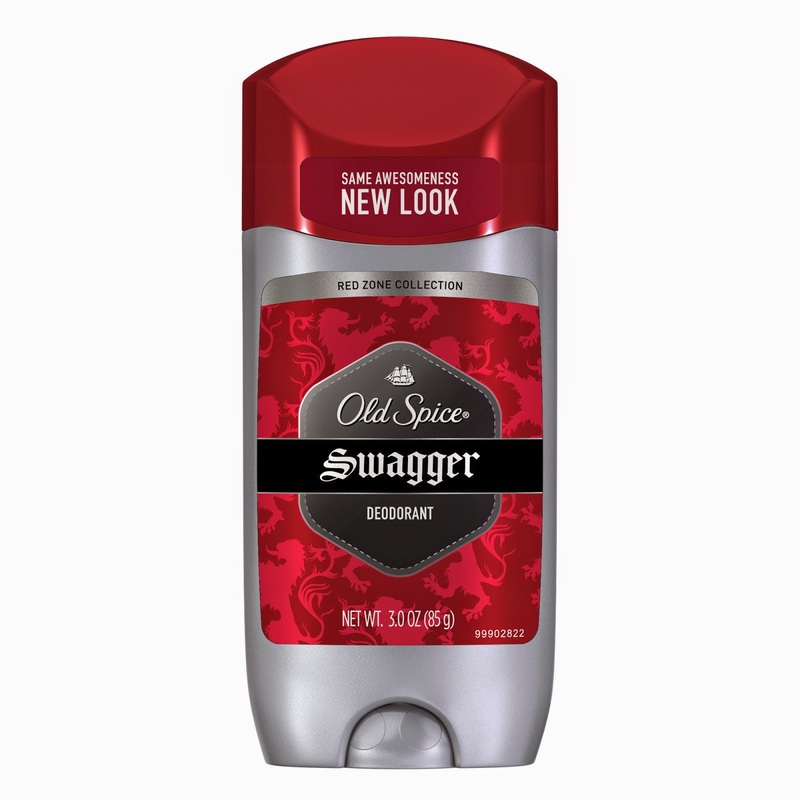 Old Spice will be giving one of my readers the same gift package and a $50 Amazon Gift card! So make sure to enter below to win this great prize. Whether at the beach in Fiji or closer to home, your man can’t go wrong with cool sunglasses and Old Spice. See for yourself here: Old Spice Soccer Celebrate great combinations with Old Spice Fiji scent line up PLUS shades of his choice (via Amazon.com). LOVE ME AN OLD SPICE MAN!! Thanks for the chance!!! And as far as the amazon card goes...yay more school clothes for my daughter!! Thank you!!! I would give the Old Spice to my son. He loves the stuff! And I would buy my son a nice birthday present with the Amazon Gift Card!! We really like the Fiji Old Spice scent in deodorant and body wash the best! I would give it to my son and buy a new radi with the card. I would give this to my husband and I'd put the gift card towards an item my husband has in his Amazon wish list for a Christmas gift. My son who is a junior in highschool would like and appreciate this prize pack. He is always saying that he needs to smell good forthe ladies, lol. Id buy new bed pillows. My 17 and 20 year old son's like the new Old Spice. I bought them each one and at first they said thats for old men and I laughed. They smelled it and liked it. They used and said for me later to get the body wash, just have not had time to yet. 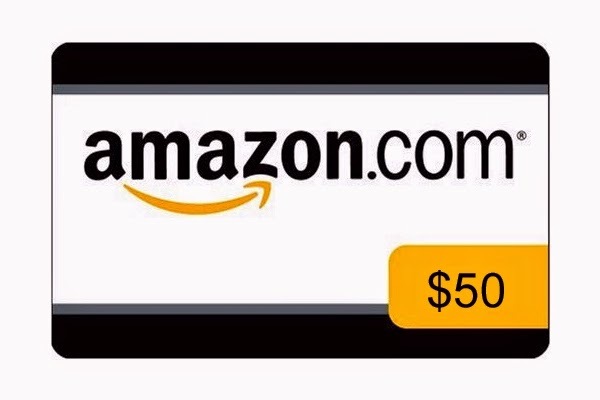 I would have to give my 20 year old the Amazon card because he is in College and always need more books or something else. My sons would split the Old Spice, it's their favorite brand. I'd let my sons and husband use it all! Thanks for the chance!! I would give this to my son, he could really use the deodorant, soap and spray! I'd give it to my husband. I probably buy some Christmas presents with it. I would put this away for my brother as a Christmas gift. He has always been a fan of Old Spice and it smells great! I would give this to my sons and I would use the Amazon gift card for Christmas for all 3 of my kids! I would save this for Hubz' holiday gift! I guess I would buy something for our freshly painted, on the way to redecorated living room. I would give this to my hubby, and I'd use the Amazon gift card for my son's birthday that's coming up. Nothing smells as good as Old Spice! 50 bucks can buy alot of Old spice Products!